This is Ayaka, the Dog resale shop staffer that we’ve photographed many times. 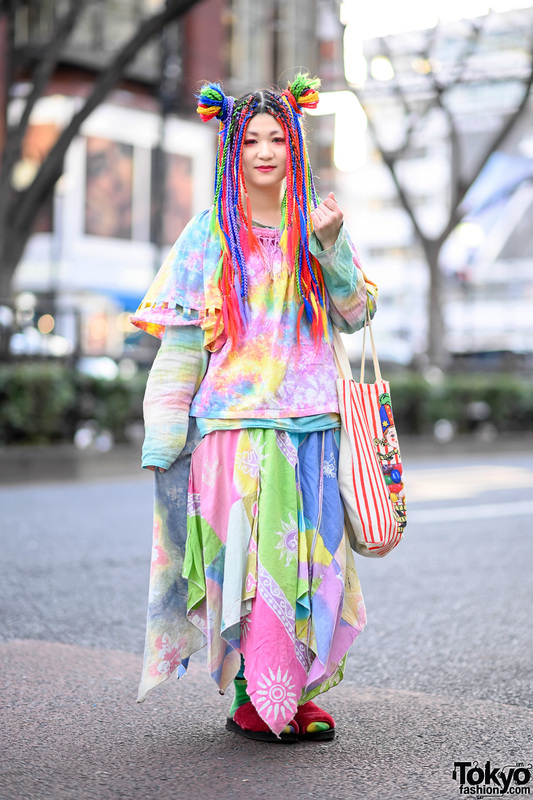 This time Ayaka, who’s 21 and also a Bunka Fashion College student, is wearing a cute UTA dotted top embellished with beads and sequins that she bought used. She bought her red plaid shorts at Dog. 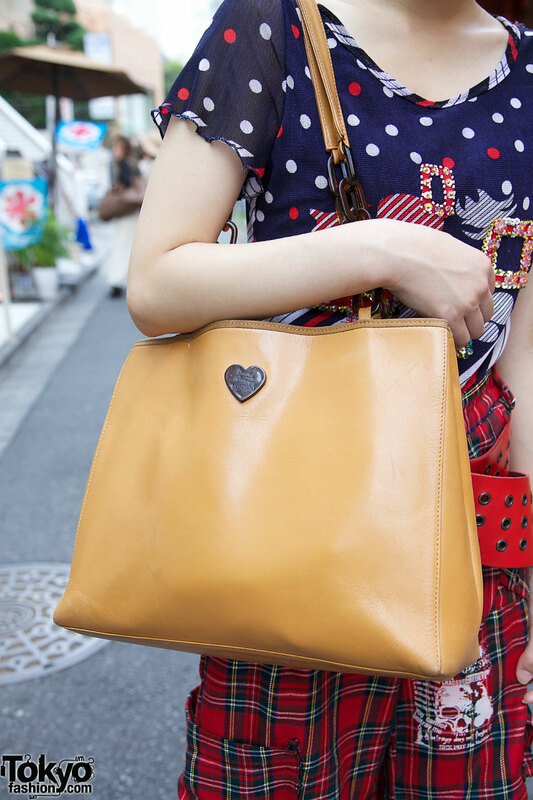 Ayaka’s accessories include a super-wide red leather belt, an ethnic print scarf and a tan leather purse from Moschino. Her black and plaid platform shoes are from Demonia. She’s also wearing black-and-white striped socks with red trim. We asked Ayaka about her favorite sources for fashion and the answer was Dog and Hikari. Shes gorgeous because of her amazing chilled out style…love her shoes. Love the way shes done her hair too.